The State Capitol Gift Shop is located on the first floor of the Capitol. Offering Arkansas and Arkansas made products, the Gift Shop is open Monday thru Friday from 9:00 am until 4:00 pm. For more information call 501-682-3593. 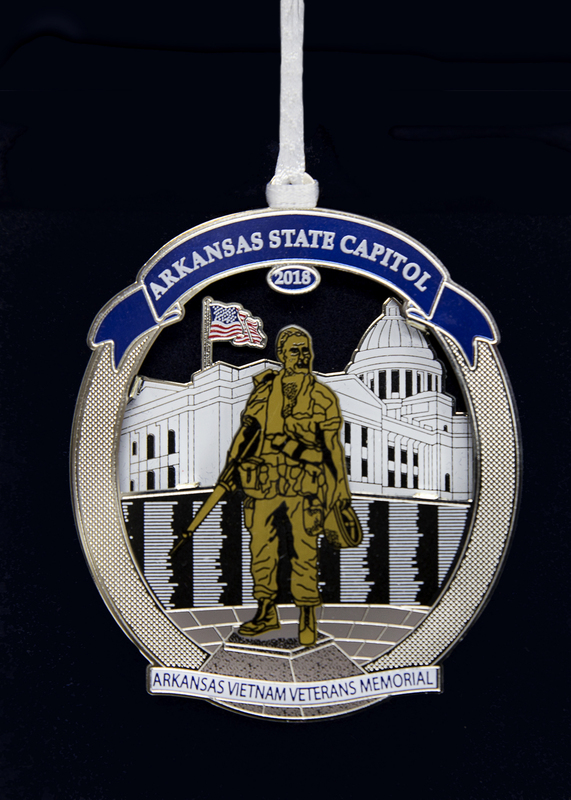 Click here to follow the Arkansas Capitol Gift Shop on Facebook. In 1983, the Arkansas 74th General Assembly enacted Act 394 authorizing the construction of a memorial to Arkansas’s Vietnam Veterans on the Arkansas State Capitol grounds. 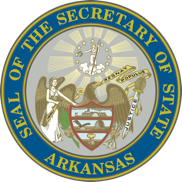 Arkansas Secretary of State Paul Revere was provided authorization to appoint a design selection committee. He chose the concept for the Vietnam Veterans Memorial submitted by Steven K. Gartman, an Architecture student from the University of Arkansas. The design features 175 light-gray granite uprights, arranged in two outer and one inner section. The names of Arkansas’s 669 known Vietnam casualties are engraved on the sixteen French Creek granite panels. The engravings are placed toward the inside of the plaza where a bronze statue of a Vietnam-era infantry soldier, mounted on a 5 sided granite plinth, stands. Local Little Rock artist, John Deering created the statue which was named “Going Home”. The memorial was dedicated on March 7, 1987, in a ceremony which brought more than 5,000 people to view a parade that passed through downtown Little Rock on its way to the memorial site at the southeast corner of the State Capitol grounds. A few notable parade marchers included retired Army General William Westmoreland, former commander of U.S. Troops in Vietnam along with Chad Colley of Barling, Arkansas, former National Commander of the Disabled American Veterans who was pushed through the parade lines by General Westmoreland. At the Arkansas Vietnam Veterans site, crowds heard speeches from General Westmoreland and Governor Bill Clinton before the memorial, draped in a camouflage cover, was unveiled. The unveiling was followed by a single bugler sounding “Taps” as the crowd was silent.